As if going round conventions handing out chocolate was not laudable enough, admidst everything else she does Gillian writes a most excellent column called Bookish Dreaming (you can read more about it in Gillian’s snapshot, or better still go check it out!). I’ve really been enjoying it, and one of the things that has struck me is Gillian’s talent for research and attention to detail. As someone who is, shall we say, not so good in this regard, I was delighted when Gillian agreed to come and share a post on the subject and I hope you find it as useful as I have. 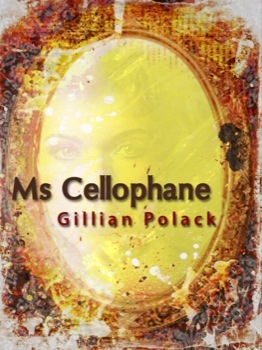 The timing of the post has worked out really well too, Gillian has just launched her book, Ms Cellophane, this month – check it out! Thank you, David, for inviting me to your Wednesday Writers slot. I feel far more formal than I usually am, because you specifically asked me to write about research. The trouble is, when I think ‘research’ I think ‘formal’ and take on a bunch of academic pretensions. That’s not how I actually do research. It’s how I learned to think about researching when I was an undergraduate. My idea of research, though, isn’t only the stuff I learned as an undergraduate. The formal suit only gets hauled out for scholarly papers. Most of the time research for me is leggings and a t-shirt. It’s my everyday life, not those approaches we’re taught at impressionable ages. I pretty much live research. You can see that from the snapshot interview you did of me (and I’m going to try very hard not to say the same thing here!). I think about what I see when I walk down the street and I create paradigms to test what I’m thinking. It’s constantly being aware and constantly learning. It’s also a lot of fun. Most of this thought doesn’t see light of day. Occasionally someone twists my arm and I write an article or teach a class. But mostly, I use it to build novels and to build the worlds that my novels are in. Take Ms Cellophane for example (I keep saying that it’s available ‘at a computer near you’ but the thing I can’t get over is being able to buy my own novel in iTunes – that’s just warped. Anyhow…) the Canberra of that novel and even the household of that novel are all constructed. They’re not the world as we know it: they’re the world of the novel. I looked into stuff that I might have known, but wanted to be certain of. I am not my characters. My world may look a bit like theirs, but it’s not theirs at all. I had to work out what sort of house a Canberra public servant would buy at the time Elizabeth would have bought a house. Hers turned out to be not what I live in at all: hers is a 3 bedroom ex-govvie, with a quite specific floorplan. So many Canberra houses are like this, but I bought a few years later than her and so I have a flat and my living space is very different. In other words, one aspect of research is establishing differences and finding out how my characters live and what those differences mean to their lives. I used the internet wisely for the house (I looked at house sales and floorplans) but I also visited friends and the friends of friends and noted what things looked like and why. Even the floorplan of the workplace she leaves was researched. That shade of pale purple used in an open plan office existed in one particular office in Civic at the moment of the novel and it was the perfect type of office for her work, not only because it was so very Canberran, but also because the Department in question had a bit of a reputation for workplace bullying. I researched using the gossip network for this one. Not all research is from books and using the computer. I used the gossip network because I wanted that aspect of the book to resonate with locals. They might not be able to pin down that resonance, but it would be there and it would add credibility to the story. I wanted to create a world that felt real: so I used reality to create it. Not my reality, but the reality that the people in the novel would have experienced if they existed outside my imagination. It’s easy to explain using a contemporary novel. I do the same research for all my world building, though. I’ve just built a town in the Languedoc in 1305 for a time travel novel and I researched everything from medieval masculinities to how the sculpture in the local abbey actually looked. That was such miserable research: I had to go to France last July and eat French food and drink French wine and chat with French museum staff. Weep for me. I also read aphorism in Middle French, to establish an important aspect fo a character. For this, I needed Middle French (and Old French and Modern French, as it turned out), so it’s just as well that my inner other self (one of the many) is a Medieval historian. Except that it’s not ‘just as well.’ There’s no coincidence in that. Historians do a lot of research. We live and breathe it. It made perfect sense that I, as a novelist who happens to be an historian, would translate that skill and use it in as part of my writing process for fiction. I built worlds in alternate universes just as carefully as I built my contemporary Canberra and my 1305 Languedoc. For me, it’s part of my fiction. If my characters can’t see and feel the street they walk down, then I’m not ready to write the novel. I start with the rocks underneath a place (quite literally: I begin with geological maps) and work my way upwards. I look at the place over time and the place in relation to its neighbours. I look at languages and at politics. I look at rainfall and plant species. My research enables my mind to experience the novel’s setting and it means I know the choices my characters have. When they can run, or when the hill’s too steep. When water is a problem and when alcohol is. I hate it when the research is done and the novel is finished and I love it when I can start the whole process again. Right now, my mind is thinking about moving into a very strange house. It isn’t ready yet, for it’s still dwelling in the Languedoc in 1305, but soon… I have a notebook with the beginnings of the process and in a few months I will move out of the notebook and the research will colonise my loungeroom and then it will take over my life and then the characters will talk and the novel will start to take shape. Happiness, for me, starts with a notebook and with research plans. Gillian Polack is based in Canberra. She is mainly a writer, editor, educator and historian. Her most recent print publications are a not-quite-cookbook, a novel (Find details on her latest release, Ms Cellophane, here! ), an anthology and a slew of articles. Her newest anthology is Baggage, published by Eneit Press (2010).One of her short stories won a Victorian Ministry of the Arts award a long time ago, and three have (more recently) been listed as recommended reading in international lists of world’s best fantasy and science fiction short stories. She received a Macquarie Bank Fellowship and a Blue Mountains Fellowship to work on novels at Varuna, an Australian writers’ residence in the Blue Mountains. 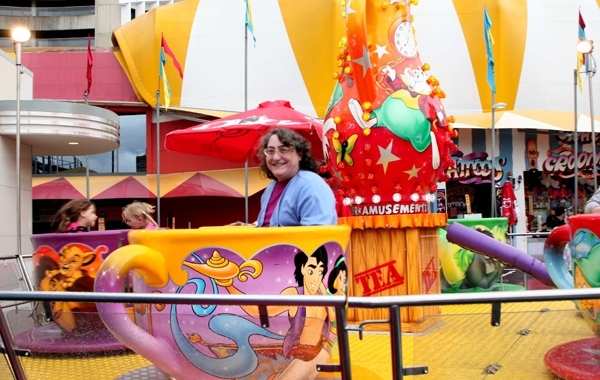 Gillian has a doctorate in Medieval history from the University of Sydney and is currently completing a Creative Arts one at the University of Western Australia. She researches food history and also the Middle Ages, pulls the writing of others to pieces, is fascinated by almost everything, cooks and etc. Currently she explains ‘etc’ as including Arthuriana, emotional cruelty to ants, and learning how not to be ill. She is the proud owner of some very pretty fans, a disarticulated skull named Perceval, and 6,000+ books. This entry was posted in Writing and tagged Gillian Polack, research, Wednesday Writers on July 11, 2012 by David. Hmmm Languedoc in 1305, Cathars by any chance? Templars, but no Cathars. They’re mentioned, but this is the time after the crusade and before the Inquisition, and also, the wrong part of Languedoc. I found a small bit of possible evidence for the local abbey handling heretics in house rather than letting into the hands of the wider church and I have someone admitting to never having met a Cathar, but that’s as close as it gets. That’s the trouble with being an historian – the history is important.